Our wrap around case packers are designed in various loading configurations. Products are either loaded from above, the side or the case packer forms the box around the products. 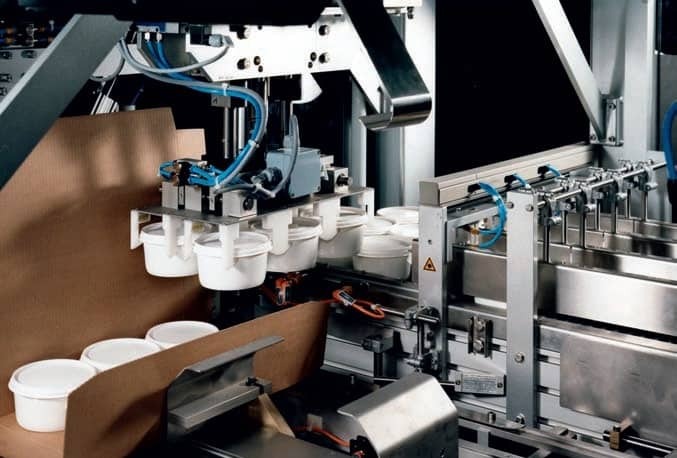 The wrap-around case packer SFS 374 machine is suitable to pack products into trays or wrap-around cartons or a combination of all these different possibilities, including an optional gluing operation and folding movements. Each machine will be individually projected, designed and built for your products, your packaging and your market requirements. These solid machines are made of non-corrosive materials and suitable for a durable installation in three shift operation. User friendly and requires minimum maintenance. 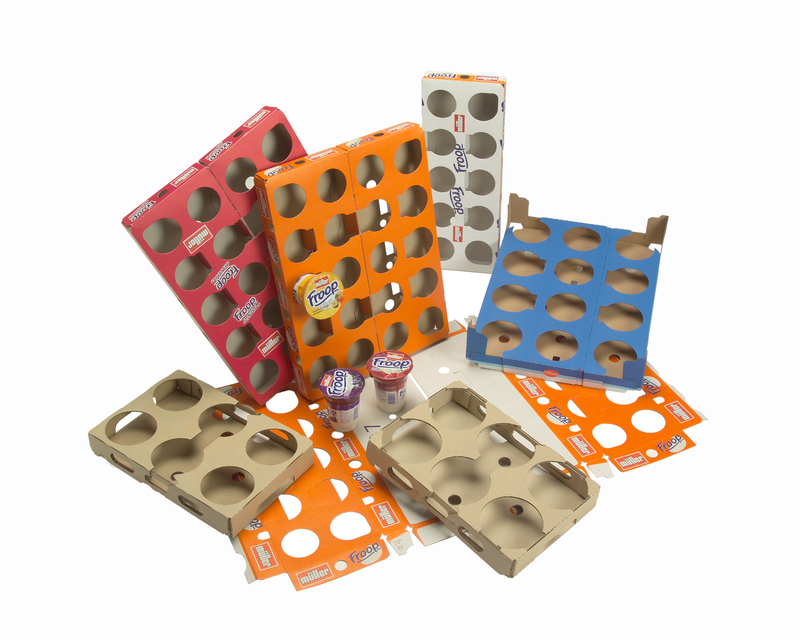 The SFS Wrap Around Case Packer is able to produce both trays and cases on the same machine. Because the sides of the case do not need to be closed before product is loaded the fit around the product is tight and partitions and interlayer can be easily placed. The product feeding consists of a Stop-and-Go transport belt and a following "dead plate". The product is collated on this plate and detected by proximity switches. The transport belt stops and a gap is formed. The product layer is now pushed off and taken by a tongue plate (underneath the tongue there is a lifting plate). Before, a blank has been placed between tongue and lifting plate. Then the product layer is released from the tongue onto the blank. The lifting plate with suction cups on it moves the package to a cell chain whilst the blank is already pre-folded U shaped. The short inner flaps are folded in and the cell chain brings the package to the first folding station. On the way the hood is folded in and the glue is applied to the lateral flaps. In the folding station the carton is squared and the lateral flaps are pressed onto. After a further step of the cell chain the carton is pushed off crosswise and during cross transport glue is applied onto the industrial flap. In the final position pressing-on is carried out and the finished carton is pushed out to an off-conveyor.